Get your friends together and treat yourselves to an evening of three fantastic activities for your mind, body, and creative soul. 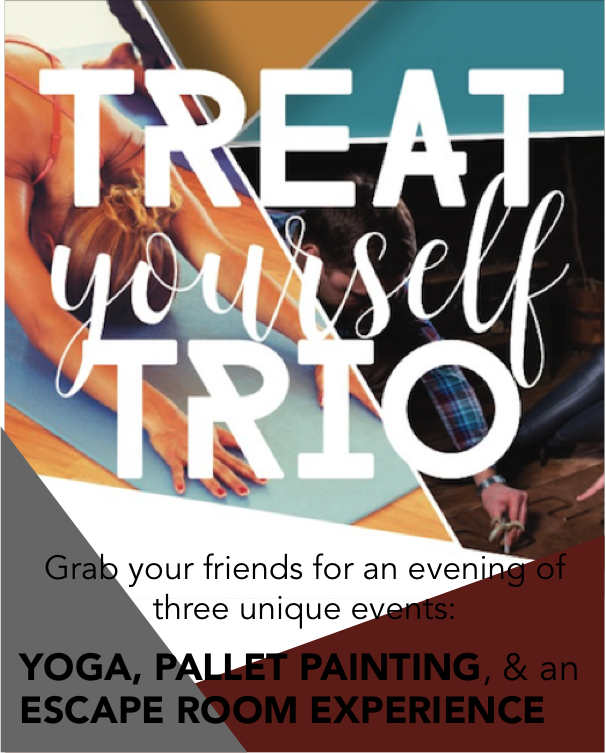 For our second Treat Yourself Trio event we will be hosting an evening of yoga at Studio Share, pallet painting, and, of course, an escape room experience. There will be snacks & beverage as well! All this for just $55 per person. Come join us as we create events that bring together local businesses and locals! We truly believe that when you support local you build community and SoCo Escape Room is dedicated to helping Pueblo to flourish.